Indulge your mind, body and spirit. 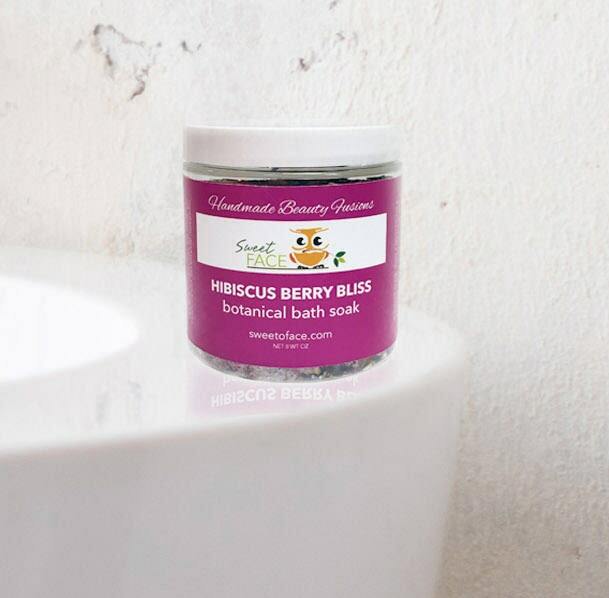 Enjoy Hibiscus Berry Bliss Bath Salt Soak a blend of the highest quality himalayan salt, dead sea salts, epsom salts, rose hips, orange peels, cornflower petals, hibiscus flowers, and blueberries for a relaxing and aromatic bath experience. 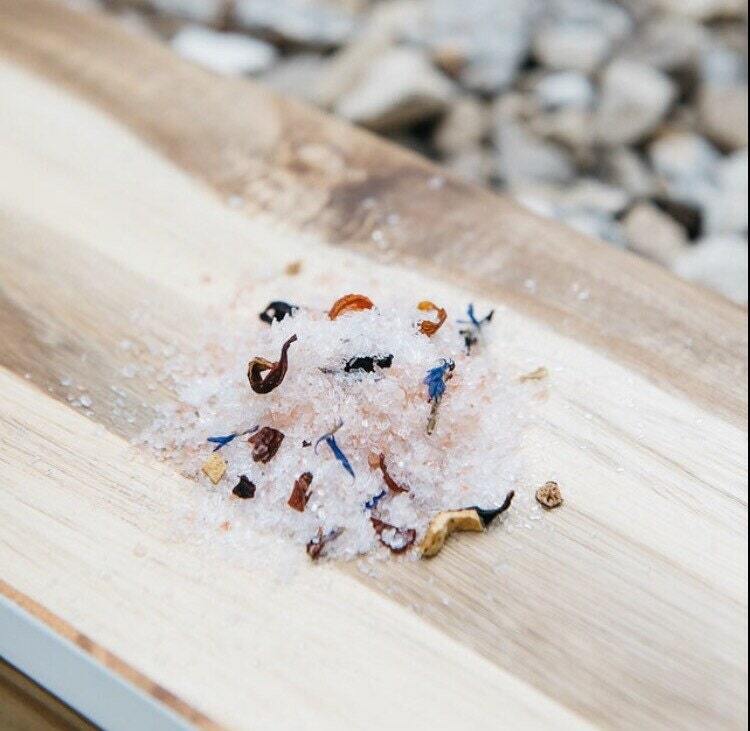 This soak helps to soften and replenish the skin. The blend of flowers are cleansing and beautifying. 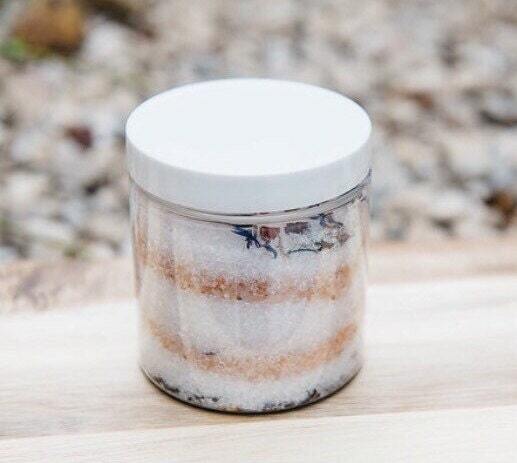 The salts that are detoxifying, stimulate circulation, soothe sore muscles, contains over 80+ minerals that nourish the skin, healing for dry skin, reduce stress, improve insomnia, soothe aches and pains, improve symptoms of psoriasis, eczema and arthritis.